After Keith Brennan's exploits at the Fitzwilliam Festival, we've got more double success to report, this time from Alessio Isaia. After winning the PokerStars Italian Poker Tour event in San Remo in 2009, Isaia repeated the trick earlier this week, topping a 234-runner field to pocket a first prize of €43,000. It's fair to assume that the Ligurian town is one of Isaia's favourite places as in addition to his two IPT triumphs, he's also picked up three scores of over €9,000 in EPT events in San Remo. The latest victory takes Isaia's total live tournament earnings past the $2.2m mark and puts him fifth on Italy's all-time money list. In a tournament of doubles, Dan Murariu was forced to settle for a runner-up finish for the second time. 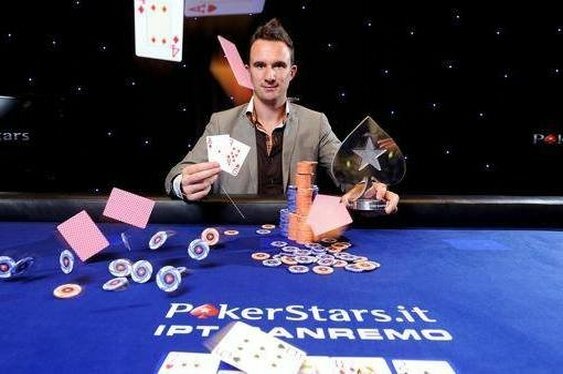 The Romanian finished second behind EPT cashing machine Luca Pagano in the 2011 IPT event in San Remo. €35,000 should cushion the blow of another near miss.